Come join us for an always necessary tropical escape next winter to Puerto Vallarta! 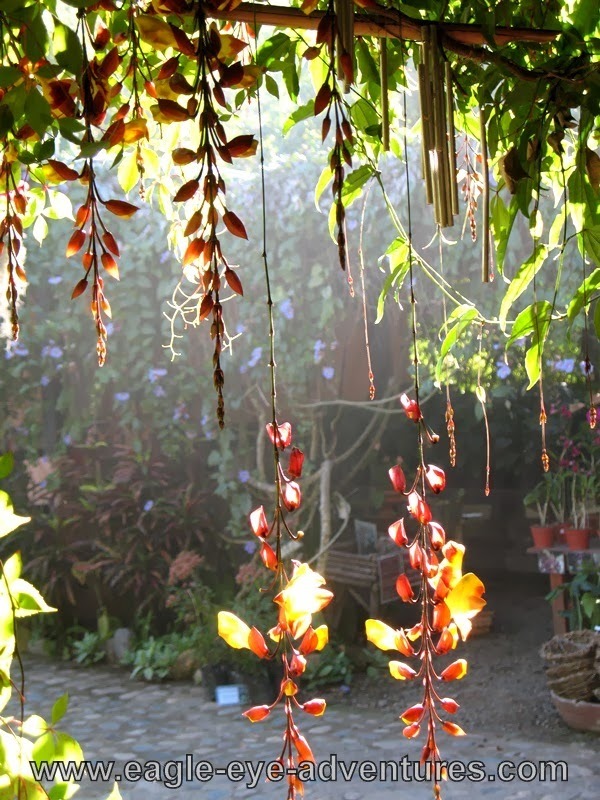 This is a trip that really introduces you to the tropics with orchids, bromeliads, beaches, and moutnains; the perfect winter vacation. 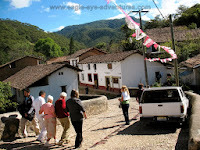 town, San Sebastian del Oeste. 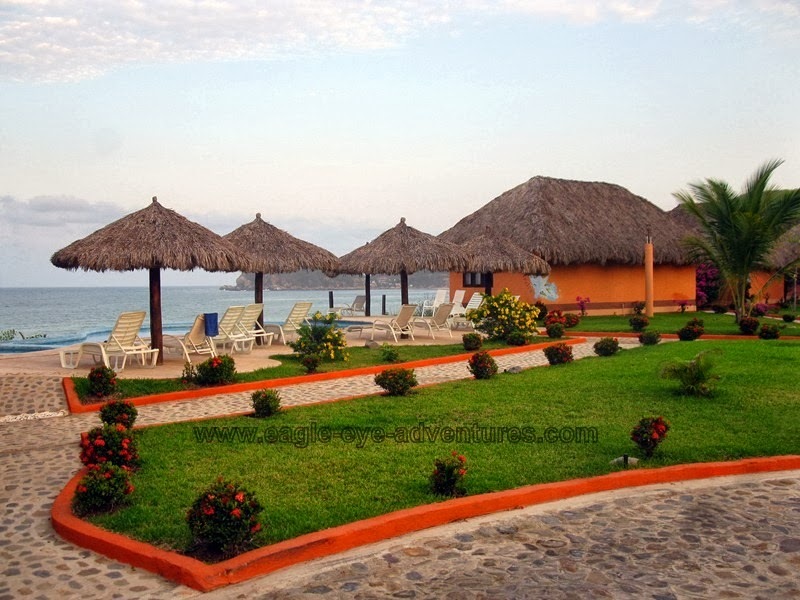 We start off the trip by running away and escaping Puerto Vallarta! 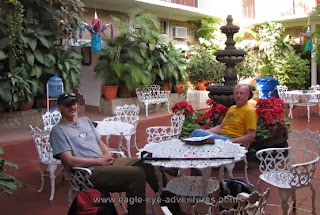 We will stay the first night up in the small mining town of San Sebastian del Oeste. This town is high enough that we will need at least a light coat when walking around but we will be staying in an old house with very thick walls that hold in the warmth! This was a silver mining town founded around 1600(!) and we will have a chance to shop for hand crafted silver from families that have probably been silver smiths for many generations. A gift or souvenir that will always be a memorable. The next day on the way back into the city we will take a tour of a small shade grown coffee operation. 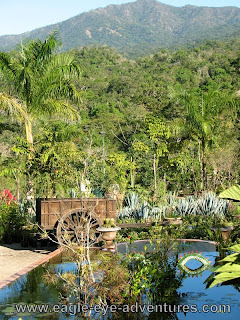 and get our first good opportunities to start seeing the botanical diversity of this region. 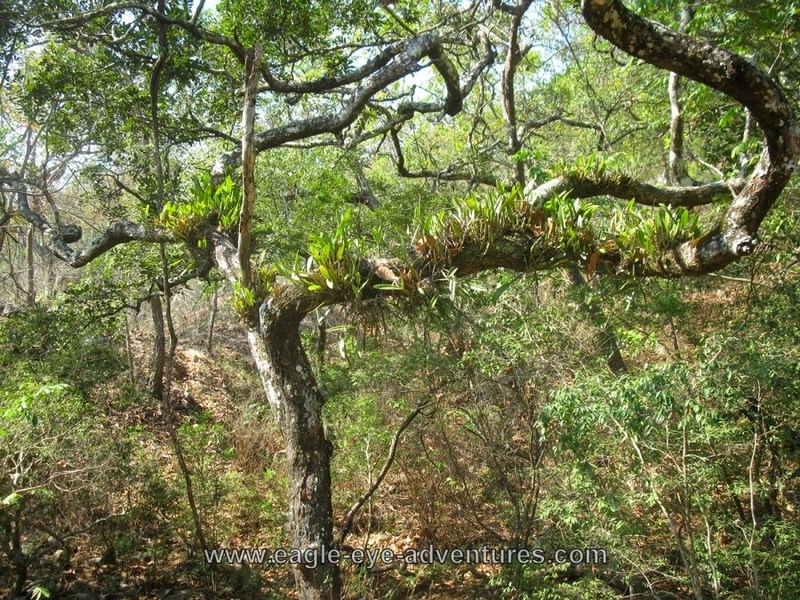 At this elevation we will see some epiphytic plants that we won't see closer to the coast like Tillandsia tillii (above). As we drop in elevation you will be able to tell we are in the tropics. Along the way we will start seeing more orchids and bromeliads like this large clump of blooming Aechmea bracteata var pacifica (below). 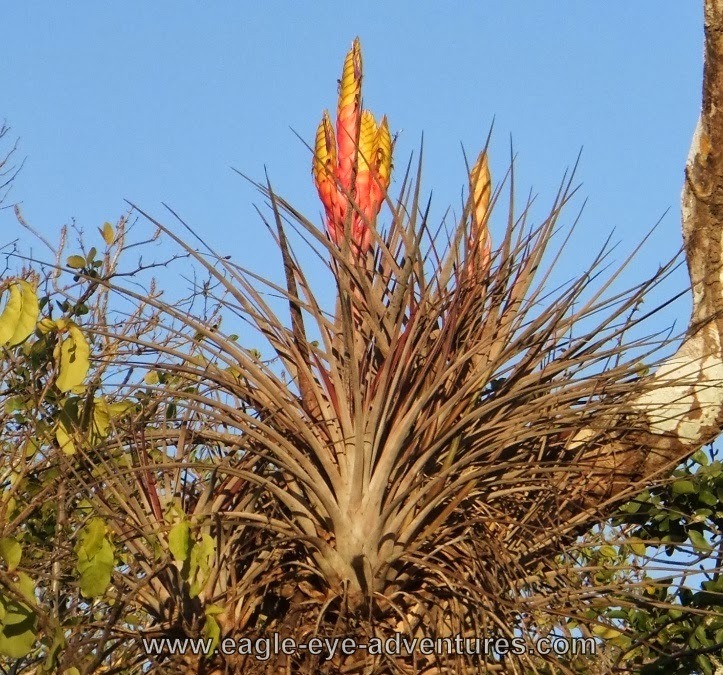 Aechmea bracteata blooming above a river. While back in the city of Puerto Vallarta, we will be staying in the Zona Romantica, the southern and more charming part of town. From we will have access to great restaurants, beaches, and the mountains. Only an easy two blocks from the beach our hotel has a pool on a patio between the 2nd and 3rd floors, several decks for lounging and relaxing, and a quiet inner courtyard filled with tropical plants and a peaceful dripping fountain. Importantly this will be a great jumping off spot to explore the riches in the mountains to the south! 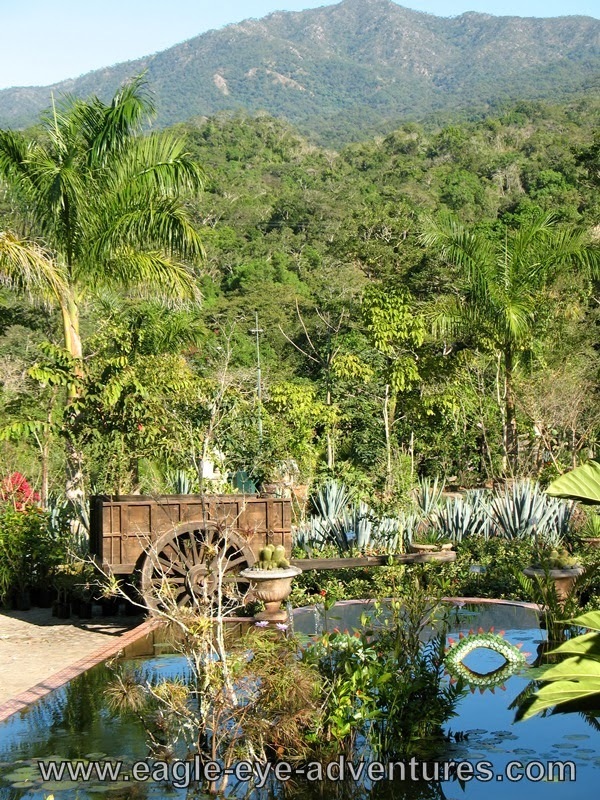 Casa de Oro at the Vallarta Botanical Gardens. 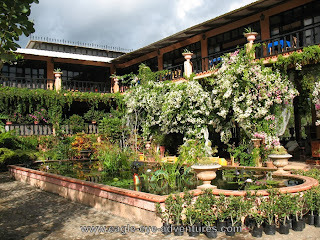 In the lush tropical mountains to the south of town we will visit the Vallarta Botanical Gardens for some hikes, lunch, and spend time relaxing at a little higher elevation where the humidity is a bit lower and the gentle breeze reminds us of how great Mexico can be. 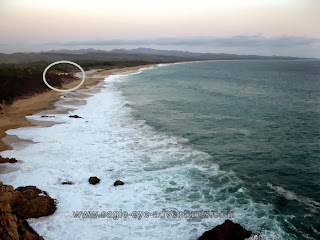 We will make out way through the town of El Tuito and head back for the coast. 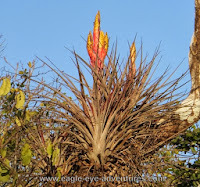 Along the way we will see orchids and more bromeliads and maybe even a demonstration of how they make their raicilla, the local version of mescal with a native agave. Orchids covering an oak in Cabo Corrientes. 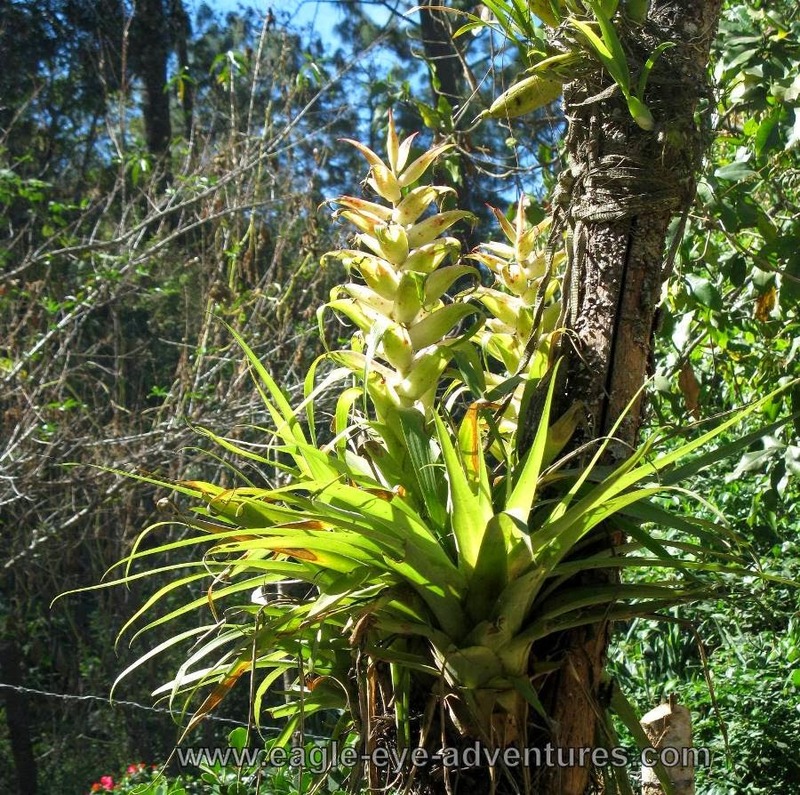 The mountains with their special location and climate are home to an incredible richness of plants, especially epiphytes. Among the most numerous are the many orchids and bromeliads. 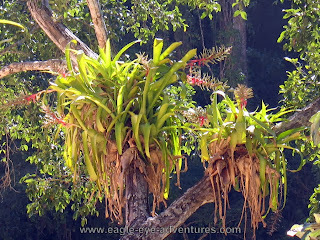 And of the bromeliads, especially the Tillandsias. These are the mountains that Tillandsia jalisco-monticola (below) calls home and is named for. 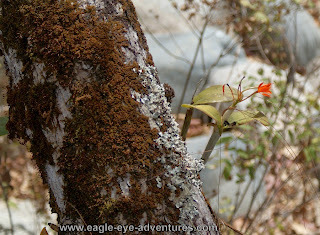 One of my favorite bromeliads in the mountains is also Billbergia pallidiflora. 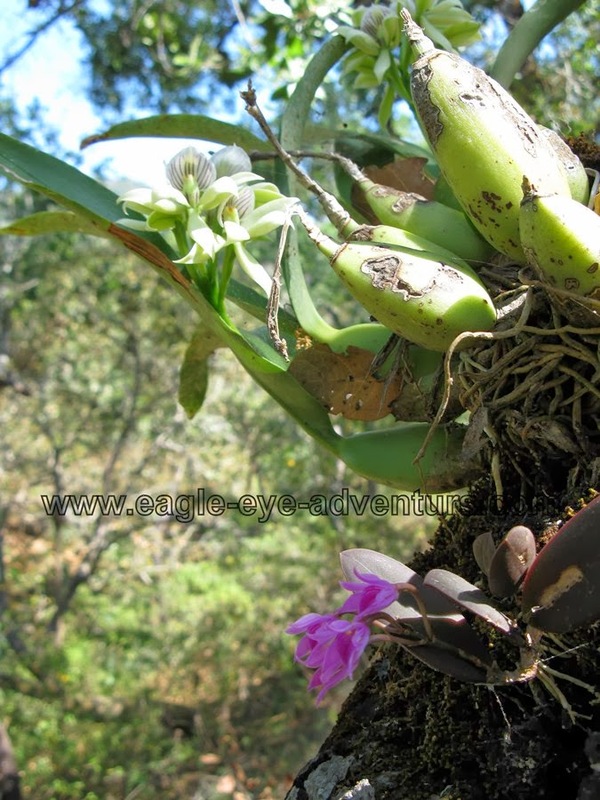 Some of the orchids include Anacheilium trulla, Brassavola cucullata, Cattleya aurantiaca (later in article below), Meiracyllium wendlandii (right) , the vanilla orchid, and dozens more! on the bluff above the beach. We will be staying two nights out on a very private 'resort'. 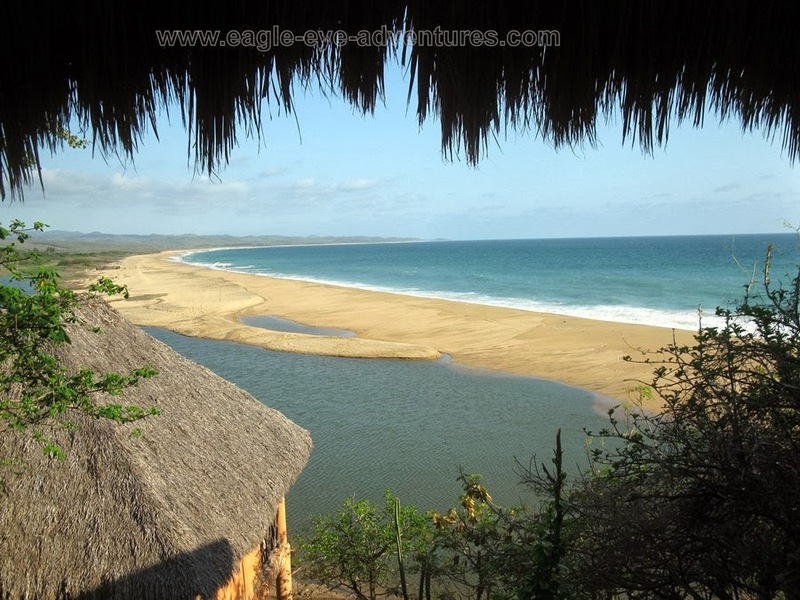 The cabañas with the restaurant and pool sit on a bluff overlooking miles of undeveloped and unspoiled beaches. 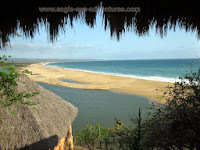 A much more peaceful beach experience than in the hustle of Vallarta. After the second night on the beach we will head back to Vallarta after breakfast. 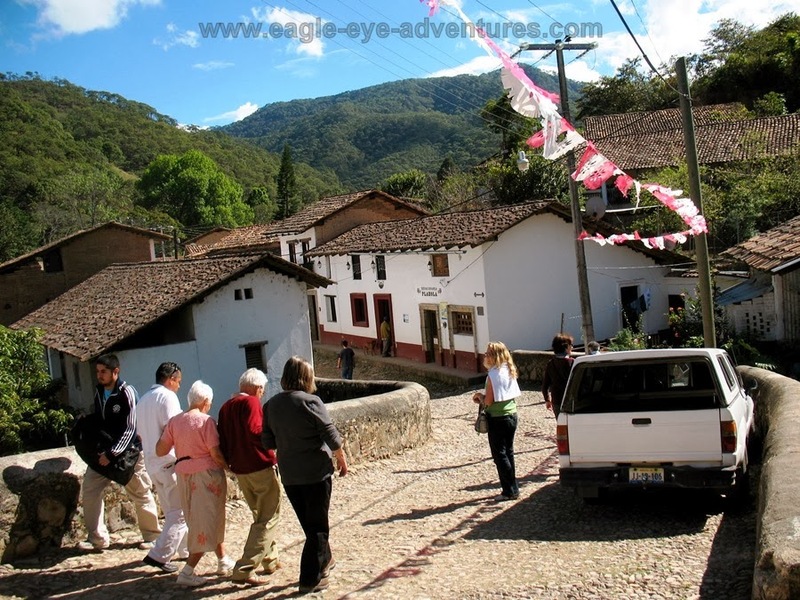 Depending on the timing and the interest of the group we can do some more road side 'botanizing' and hiking or try to make it back to see some demonstrations of the making of raicilla and/or the production of the local queso fresco in El Tuito. The rest of the day and evening will be free to explore the shops and stands of the Zona Romantica. Friday, the final day will be free. 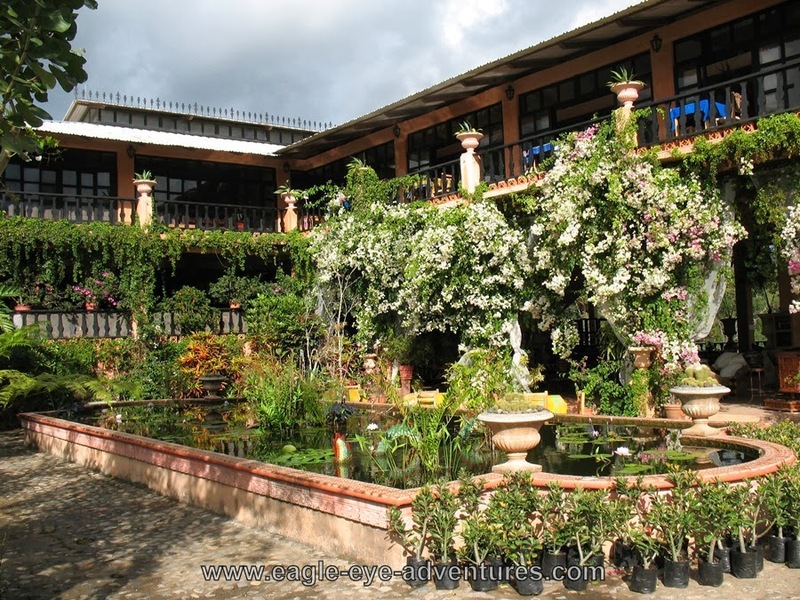 After breakfast you can explore the shops and stand in town or take the easy bus ride back to the Vallarta Botanical Gardens on your own, or join me on one of two optional trips (for an additional $50). The first is a hike from the botanical gardens up to see more orchids, Tillandias, Aechmeas, Billbergias, Bromelias, and more or if people are more interested we can take the day to go explore to see the very unique and interesting bromeliad, Ursulaea tuitensis growing on the boulders in the mountains. A plant only found in these mountains and named for the town of El Tuito. Like all of our tours, all meals are included except those during scheduled free time. This trip will have free time scheduled for you to shop, visit museums, and enjoy the city. Ground cost of the trip based on double occupancy is $1250. Minimum of 8 people, maximum of 18. Please contact us for any questions, more information, and the sign up form!